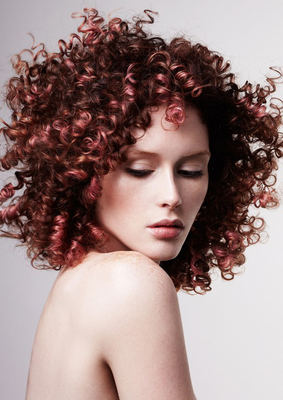 Best Hairstyles & Haircuts for Naturally Curly Hair. Check out the best natural curly hairstyles and choose the one that is truly “you” as choosing the right cut and the right style for your tresses can make the difference between fabulousness and a total failure. There are numerous haircuts and hairstyles out there to match your curly hair texture, so browse through the following styles and take your pick! Pondering on short hairstyles for curly hair? A curly bob is a great way to celebrate your curls while taming them down a bit. This cut is most flattering with square, oval and long face shapes. Also, bear in mind texture, as short haircuts tend to increase your curl. 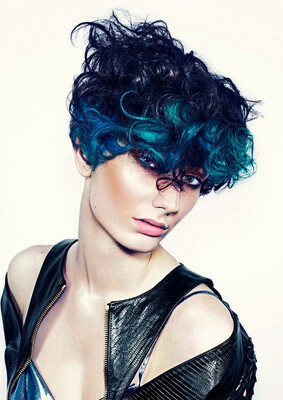 The timeless pixie works well on nearly any texture and isn't particularly high maintenance. It should be longer and tousled on top to show off texture and choppiness. This is one of the best hairstyles for naturally curly hair. This is not your regular '70s afro. It is a modern, teardrop-shaped precision afro, which works best with a round or square face. For a healthy sheen, make sure you use a leave-in conditioner. Braids are great hairstyles for naturally curly hair. 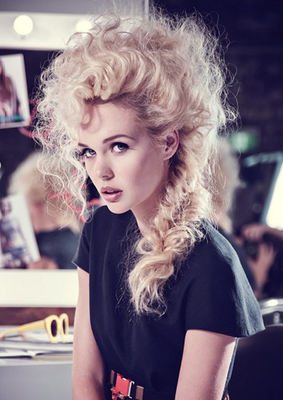 If you've got tighter curls and shorter cuts, go for cornrows which are smaller, tighter and closer to the scalp. Bear in mind cornrows last longer than side braids, so make sure it's a look you feel confident enough with whether it's work or play. As naturally curly haircuts go, you can never go wrong with this cut. You may want avoid it if your hair is too unruly, though. Apply a serum or pomade on damp hair and let it dry naturally for fab styling. If you've got tight curls, long layers can help diffuse some of the weight. For a face-hugging look, the layering should start no higher than the chin or collarbone. Ouidad Hydrafusion Curl Cream can help keep curls in check. These are great hairstyles for naturally curly hair. A high ponytail works best if you've got longer, looser waves. For a casual, summery look, pull the hair up and away from the face, gathering the ponytail at the top ridge of your head. Every once in a while, it's good to let your hair down. Even curly hair. Pomade can help keep the frizz in check. Twist curls one by one, applying a dab of pomade from root to tip. Finish off with hairspray to hold it all in place and throw some bobby pins in your purse, just in case. Though the half updo will not work on all hair lengths and textures, it's worth including in your hair makeover repertoire. You can liven up even a shorter haircut by letting a few strands hang down, framing the face. Strands pulled up should look sleek and tame.